It’s been a few days since I posted and there are a few reasons for that. The first is that I injured my back and it’s been uncomfortable to sit at a computer for very long. So in trying my best to maintain my health I have taken a break from being online the last few days. I also attended a wedding reception for my good friends Eman and Tupee who were married in New Jersey on July 3rd. There was a great reception for them this past Saturday here in Eugene. I took a few photos of the party. So at the reception there was a basketball hoop setup next to a trampoline (hey! don’t all receptions have this setup?). The kids were having a blast bouncing around and playing hoop. 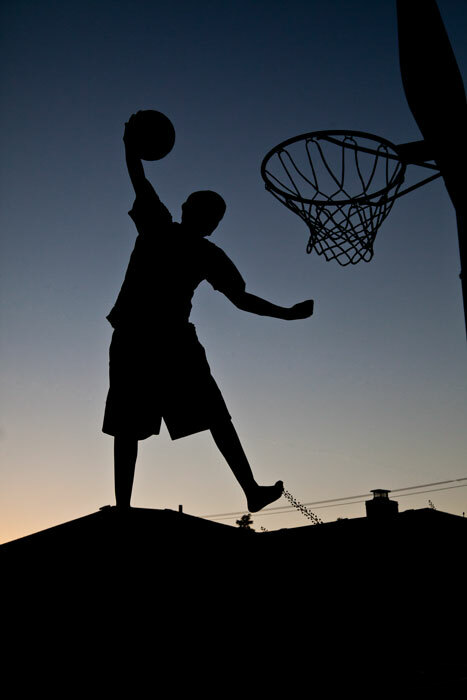 As the sun was going on it created a great shooting opportunity to capture a silhouette of the players as they attempted to slam dunk the ball. This one is my favorite. It’s nice to attend a gathering to celebrate the joining of two friends in love and embarking on their own life journey together. The journey is always better, always sweeter when you have someone to share it with. Thanks for sharing your special day with us Eman and Tupee. May your journey be one filled with adventure.